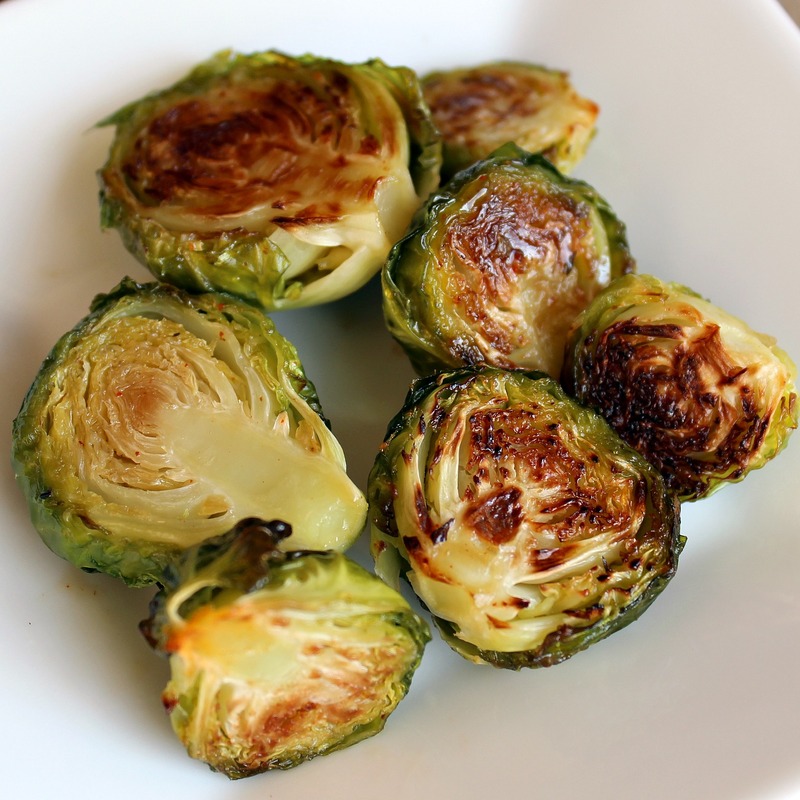 I never thought I would like Brussels sprouts…now I can’t get enough of them! This recipe is so simple, but the ingredients really shine! You can add minced garlic, garlic powder, lemon juice, or other spices if you want to change them up a bit. Prepare the Brussels sprouts by washing them, cutting of the tough brown ends, removing any brown yellow outer leaves, and cutting them in half. Mix the halved Brussels sprouts in a bowl with the olive oil, salt, and pepper. Pour them on a sheet pan and roast for 30-35 minutes, until crisp on the outside. Shake the pan 2-3 times while cooking to brown the sprouts evenly. Sprinkle with more salt (if desired), and serve hot. Enjoy! Tip: If you want to add fresh minced garlic, do so about 10 minutes before the sprouts are finished cooking.